One-way toll fares are collected from east- and west-bound traffic. 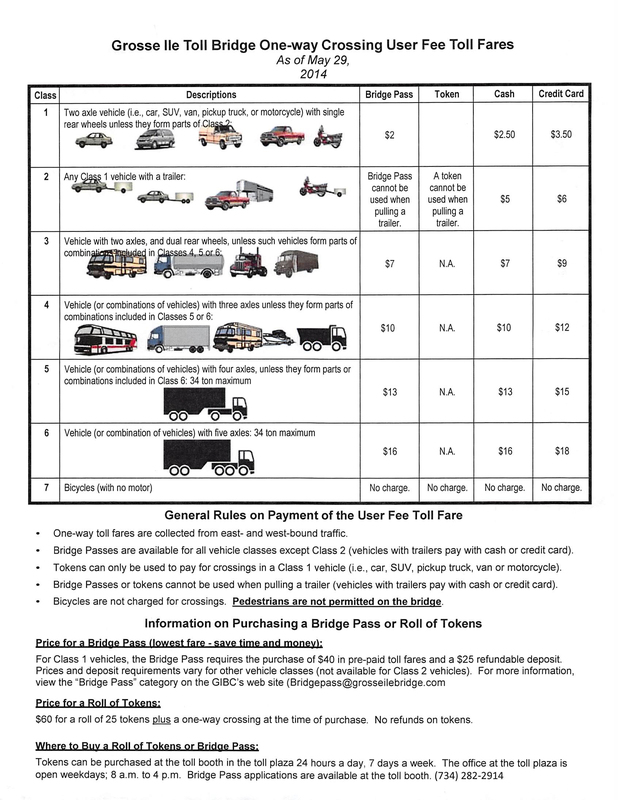 Bridge Passes are available for all vehicle classes except Class 2 (vehicles with trailers pay with cash or credit card). Tokens can only be used to pay for crossings in a Class 1 vehicle (i.e., car, SUV, pickup truck, van or motorcycle). Bicycles are not charged for crossings. Pedestrians are not permitted on the bridge. $60 for a roll of 25 tokens plus a one-way crossing at the time of purchase. No refunds on tokens.